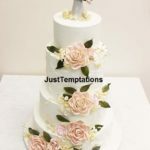 Just Temptations uses only the finest and freshest ingredients to make divine and beautiful Birthday Cakes and Desserts in the Greater Toronto Area. Our wide assortment of scrumptious flavours is sure to tempt any taste buds. Many individuals in Toronto are choosing to go with more adventurous designs and flavours for their Birthday Cake. We offer Birthday Cakes in any combination of style, colour and flavour that will be perfect for your Toronto and Greater Toronto Area (GTA) birthday. Our team includes a Master Pastry Chef with over 20 years of Birthday Cake designing experience and several Professional Pastry and Cake Decorators with educational backgrounds from Humber College in Toronto and George Brown College in Toronto. We specialize in Custom Birthday Cakes but also offer Traditional Birthday Cakes, Contemporary Birthday Cakes, Modern Birthday Cakes, Themed Birthday Cakes, Sweet 16 Birthday Cakes, 1st Birthday Cakes, 25th Birthday Cakes, 30th Birthday Cakes, 50th Birthday Cakes, Quinceanera Birthday Cakes, Topsy Turvy Themed Birthday Cakes, Funky Birthday Cakes, Casino Themed Birthday Cakes, Whimsical Birthday Cakes, Birthday Cupcakes, Simple Birthday Cakes, Fondant Birthday Cakes, Butter Cream Birthday Cakes, Chocolate Fondant Birthday Cake, White Chocolate Fondant Birthday Cakes, Chocolate Ganache Birthday Cakes, White Chocolate Cigar Birthday Cakes, Seashell Birthday Cakes, Sugar Flower Birthday Cakes, Birthday Cakes with Fresh Flowers, Multi-coloured Birthday Cakes, French Birthday Cakes, Hexagon Birthday Cakes, Square Birthday Cakes, Round Birthday Cakes, Heart Birthday Cakes, Slanted Birthday Cakes, Multi-tiered Birthday Cakes and Birthday Cookies. Any unique Birthday Cake design that you can imagine, the Chefs at Just Temptations can create for your Toronto birthday. Birthday Cakes can be decorated with hand-made sugar, fondant, coloured fondant or gum-paste flowers including roses, calla lilies, tiger lilies, stargazer lilies, daisies, gerber daisies, hydrangeas, cherry blossoms, phalaenopsis orchids and cymbidium orchids. Your Birthday Cake can also be decorated with any colour sugar bows and sugar ribbons. Your Birthday Cake can be finished off with ribbon, pearls or piping details. We can decorate your Birthday Cake with Fresh Flowers or Charms/Cake Toppers (provided by the client), we have a small selection of Cake Toppers available in our showroom. We can also provide the names of Cake Topper suppliers in the Toronto area. Another way to enhance the beauty and height of your Birthday Cake is by renting a cake stand. Your Birthday Cake will look even more grand and majestic on a cake stand from Just Temptations. 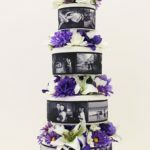 We offer some of the most beautiful and elegant cakes stands in the Toronto area. The cake stands come in Silver, Gold, White and Clear. We have a variety of Antique and Modern cake stands in many different sizes and shapes. All cake stands are available on a first-come, first-serve basis. Take your Birthday Celebration to a whole new level by adding special favours, chocolate fountain, cupcakes or a delicious sweet table! All of our Birthday Cake flavours made from scratch. We use only the best ingredients including 35% cream, pure butter, Lindt chocolate, Philadelphia cream cheese and fresh eggs. Our showroom is located just minutes from Toronto. Our complete display has over 100 dummy Cakes. We also have over 500 other Birthday Cakes designs in our Catalogues, some of Toronto’s most elegant Birthday Cake designs. We also offer completely customized Birthday Cakes. If you have a picture of a Birthday Cake or an idea of a Birthday Cake in your head, we can create the Birthday Cake for you. When coming in for an appointment, do not forget to bring the Birthday Cake picture with you. To come to our showroom to view these Birthday Cakes and try our 6 most popular flavour selections you can book a complimentary appointment (30 minutes) online or call us at 905-565-0058. 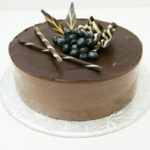 Located just minutes from Toronto, Just Temptations services and delivers Birthday Cakes to all areas of the GTA including Mississauga, Brampton, Scarborough, North York, Etobicoke, Woodbridge, Vaughan, Maple, Concord, Markham, Richmond Hill, Thornhill, Hamilton, Ancaster, St. Catherine’s, Stoney Creek, Brantford, Grimsby, Burlington, Oakville, Caledon, Orangeville, Kleinburg, Ajax, Whitby, Oshawa, Pickering, Stouffville, Port Perry, Guelph, Halton Hills (Milton), Campbellville, New Market, Uxbridge, Kitchener, Waterloo, Cambridge, Bond Head, Aurora, King City, Kettleby, Alliston, Barrie, Niagara-On-The-Lake and Niagara Falls. The charge for delivery will depend on the location of your Birthday; some locations are no additional charge. We will deliver your cake to your reception location and have the cake set-up on display before your guests arrive.